Event dates/times are subject to change. For the most updated event information, please visit Wabash.edu/calendar. All events are free, unless otherwise noted. Opening Reception: Friday, January 18, 6 – 8 p.m.
Gallery Hours: M-F, 9-5 p.m. In Blurred Boundaries, Amber Cobb examines the primal and sensual nature of sexuality, a familiar subject throughout her practice. The works in this exhibition address her intertwined relationship to the physical and psychological through abjection, attraction, and humor. The most recent series, features decorative patterns and softly draped forms that expose the spaces between a sweet kiss, hard grip, and violated flesh. Through a spectrum of color and texture, each work references the many phases of bruises from initial impact to healing. Other works feature Cobb’s arsenal of materials: mattresses, stuffed animals, and bedding. Through a process of layering and abstraction, found objects morph into the human form, they are familiar yet strange. Finally, rubber biomorphic forms poke at the absurdity of gender roles and sexual innuendos, they are all at once titillating, hilarious, and offensive. Blurred Boundaries is both inviting and confronting, a collection of emotions calling the body into question. Edge of Alchemy is the third film in a trilogy examining the psychological terrain of women's inner worlds. Stacey Steers spent five years creating this exquisite handmade film, assembled from over 6,000 collages. This surreal epic upends the Frankenstein story and features luminaries, Mary Pickford and Janet Gaynor, through clips from their early silent films. Music is by Polish composer Lech Jankowski and funding provided by The John Simon Guggenheim Foundation and Creative Capital Foundation. Edge of Alchemy was featured at Telluride Film Festivalin 2017 and was winner of the Grand Jury Prize for Best Experimental Film at the 2017 Nashville Film Festival and Peter Wilde Award for the Most Technically Innovative film at the 2017 San Francisco International Film Festival. In 2018, Stacey Steers was honored by a nomination to join the Academy of Motion Picture Arts and Sciences in 2018. Amber Cobb is a Colorado-based artist, living and working in the Denver area. In 2011 she received her M.F.A. in Sculpture from the University of Colorado at Boulder. Cobb has exhibited in a number of exhibitions both nationally and internationally. This includes Xiao Shan Xiao at the Hunan Province Art Museum in Kaifeng, China, Sweat Baby Sweat in Los Angeles, and Direct Connect in Berlin, and the Biennial of Americas. In 2014, Cobb was featured in New American Paintings, #114. 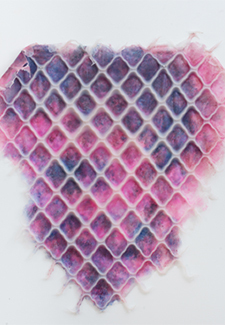 She is represented by Gray Contemporary in Houston, TX and by Gildar Gallery in Denver, CO.
Stacey Steers is known for her process-driven, labor-intensive films composed of thousands of handmade works on paper. Her recent work employs images appropriated from early cinematic sources, from which she constructs original, lyrical narratives. These films investigate the nature of longing, and explore the ways desire provokes and mediates experience to create meaning. Steers’ animated short films have screened throughout the U.S. and abroad, and have received numerous awards. Her work has shown at Sundance Film Festival, Telluride Film Festival, New Directors New Films (New York), MoMA, and the National Gallery of Art (Washington, D.C.) among many other venues. “Edge of Alchemy” is the epitome of Steers' unique vision of collaged re-examination animations, an uncanny way to carry on in the great tradition of surrealist cinema. This student-curated exhibition features prints by Louis Orr (1877-1966) made while he was living in France. Orr is a renowned American printmaker and uncle of David Orr ’57. Louis Orr (1876 - 1966), uncle of David Orr ’57, is one of America’s great 20thcentury printmakers. Known for his master etchings of architecture and seaports, Orr’s most renowned work was a print he made of the Cathedral of Reims in France in 1917. As an official artist of the French Army, he sketched the cathedral while it was being actively bombed by Germany during World War I. In 1919 he was honored by France with the title of Chevalier(knight) of the French Legion of Honor and in 1930, with the title of Officier. He lived and worked in France for much of his career. The Baldwin Oratorical Contest is the oldest continuous public speaking contest west of the Alleghenies. This event will be the 145th Baldwin Oratorical Contest. The Department of Music at Wabash is pleased to announce the 19th annual Roger H. Ide Organ Recital. The organist will present a recital on the college's lovingly restored 1935 3-manual, 28-rank Aeolian/Skinner pipe organ. No tickets are required. Free and open to the public. A light dessert reception will follow. For more information, contact Minde Mills. Goitse has released four critically acclaimed recordings and maintains a year round touring schedule that includes performances throughout Ireland and the UK, Germany, France and the United States. 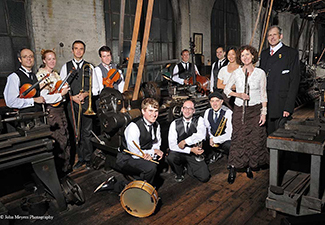 Their distinctive sound lies in the quality of their own compositions interspersed with traditional tunes from the countryside of Ireland and abroad, which make each performance unique. Laying the foundations for the music are World and All-Ireland Bodhrán champion Colm Phelan and Conal O’Kane, who is fast making a name for himself as one of the finest guitarists of his generation. Come celebrate the 19thanniversary concert of world music! This is a family friendly event. 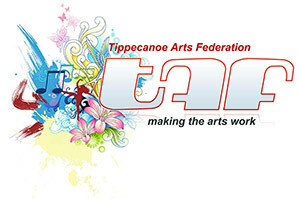 Reception: 4:30 – 6:00 p.m.
Ends on Sunday, May 12, 5:00 p.m.
Wabash senior art majors will exhibit their art works. The exhibit represents a final rite of passage for these talented men who have dedicated their academic focus to the visual arts. The Indiana Court of Appeals returns to Wabash to conduct an oral argument of a pending legal matter. Stay afterwards for question and answer with the judges and lawyers. Come enjoy the Glee Club Spring Concert! This is a family friendly event. Admission is FREE to all events. 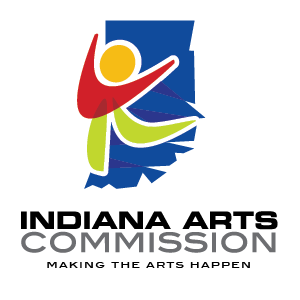 Free ticket are only required for Theater Productions and Visiting Artist Series events. For further questions please contact: finearts@wabash.edu. All events are subject to change. Please visit www.wabash.edu/calendar for the latest calendar information. Opening Reception: Friday, September 14, 2018, 4:30 – 6:00 p.m.
One of the ways to reduce conflict in the world is to increase empathy. Empathy is not pity. Empathy involves cognitively and emotionally putting one’s own self into another’s circumstances, leading one to see what another sees and feel what another feels. Ideally, empathetic relationships lead to constructive communication and behavior. Currently, there seems to be ongoing reporting of conflict and tragedy, as seen in the recent mass shootings and the death of Heather Heyer, who as killed while in protest against white nationalists. As an image maker, how can I reduce such conflicts? I do not want to simply lecture or express my anger toward the institutions or people who instigate these tragedies. During the Vietnam War, John Lennon said he could write a romantic song and make a fortune, or he could write a thought-provoking song that contributes to peace. By adopting Lennon’s approach about sending ideas, I aim to make aesthetically stimulating paintings that pull people in and hold them through their message. Zhang’s paintings have been featured in numerous prestigious exhibitions in the United States, China, and around the world, as well as on CNN, PBS, and NPR. His awards include: Celeste Prize in Painting (2017), John Moores Painting Prize (2016), Gold Award Winner in painting in the Art Forward Contest (2016), and Catherine Doctorow Prize in Contemporary painting (2015). Zhang is represented by PLUS Contemporary Fine Arts Gallery in Denver and Marc Straus Gallery In New York. Rudy Pozzatti’s quest for understanding has carried him across the globe on a journey to capture the essence of humanity in his masterful prints. This exhibit seeks to embody Pozzatti’s vision of what we can learn from the past and present about our human nature and our own desires to explore and learn. An Indiana treasure, Rudy Pozzatti is widely regarded as one of America’s great printmakers. For over six decades, he has resided in Bloomington, where he helped build one of the most prestigious printmaking departments in the nation at Indiana University. The works featured in this show come from the Donald L. McMasters ’53 Collection of Wabash College. This exhibition is curated by: Deryk Benge ’18, Derek Fox ’18, Ezequiel Godinez ’18, Preston Hadley ’18, William Shaw ’18, Dajon Thomas ’18, and Robbie Wunderlich ’18. It also features short documentary films about Pozzatti by: Kirby Cox ’18, Zachary LaRue ’19, Dallas Pitts ’19, Johnathan Rodriguez ’19, and Louis Sinn ’19. Students are led by Dr. Elizabeth Morton, Chair of the Art Department at Wabash College. The Donald Sinta Quartet are the first prize winners of the Concert Artists Guild Competition. They have earned praise from audiences and critics alike for its virtuosic performances, compelling recordings and distinctive repertoire. Hailed as “…a tight-knit ensemble exploding with power and virtuosity and an un-concealable ambition to connect with its newly found listeners” (Boston Musical Intelligencer), the DSQ performs entirely from memory, which strengthens an already palpable connection with its audiences. The DSQ consists of Dan Graser, soprano saxophone; Zachary Stern, alto saxophone; Joe Girard, tenor saxophone; and Danny Hawthorne-Foss, baritone saxophone. A reception will follow in Littell Lobby. The LaFollette Lecture Series was established by the Wabash College Board of Trustees to honor Charles D. LaFollette, their longtime colleague on the Board. A successful businessman, Mr. LaFollette was a devoted friend of the humanities and the arts. The LaFollette Lecture is given annually by a Wabash College faculty member who is charged to address the relation of his or her special discipline to the humanities, broadly conceived. Frankenstein premiered at London’s National Theatre in 2011. The finals of the 25th annual Wabash College Moot Court competition. Four Wabash students will argue a legal case before a panel of judges, including one Wabash College faculty member. Leland Faulkner’s World of Wonder stimulates students’ imaginations through shadow-theater, illusion, and characters from around the world. Coming from an international background, Leland has created a multi-cultural theatrical program that is both sophisticated and accessible. Join Leland in exploring the source and properties of shadow, and the myriad possibilities in a single sheet of paper. Laugh at the classic humor of Nasruddin, the wise fool of the Muslim world, as he encounters an invisible chicken. Imagine a hat brim that is impossibly twisted into an infinite number of objects, marvel at paper butterflies that appear to dance and multiply, and explore the possibilities of light and shadow as Leland creates a menagerie of silhouettes with only his hands. Physical theater, classical conjuring, and creative storytelling create a performance that has been hailed internationally as a theatrical feast. Enjoy an evening with the Brass and Jazz Ensemble. This is a family friendly event. Presented by the acting and directing classes. Enjoy an evening with Wamidan and the Jazz Ensemble. This is a family friendly event. The Wabash College Chamber Orchestra, under the direction of Alfred Abel, is pleased present in Salter Concert Hall in the Wabash College Fine Arts Center Sunday, December 2, at 8:00pm. As always, the concert is free and open to the public. Families are encouraged to attend, and this is a wonderful, audience-friendly way to introduce yourselves and your children to thewonderful world of great classical music. Readings and music of the season by ensembles & soloists, with audience participation for well-known Christmas carols. The Christmas Festival, which started at Wabash in 1968, alternates performance of musical numbers, congregational hymns and carols, and readings from the Bible. It is modeled on the King’s College Festival of Lessons and Carols at Cambridge University in England. The musical prelude begins at 7:30PM. Reception to follow in the Sparks Center, Great Hall. This venue is not handicap accessible.